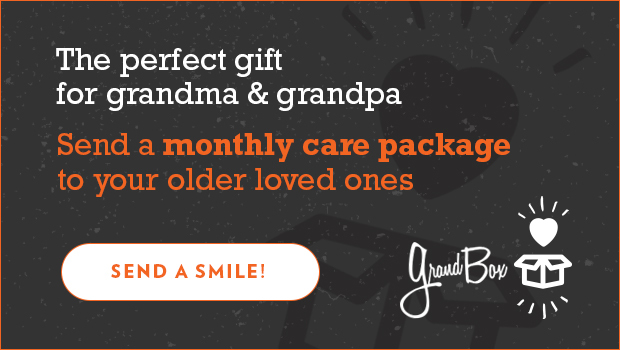 GrandBox Review by Anna Garcia | Review- GrandBox is the perfect gift seniors, grandparents & Grandparent's Day! I wish my parents were still alive so I could them them this wonderful Care package from Grandbox! So instead I'm going to give it to my aunt & uncle who have been their for me my entire life. they have done so many wonderful and kind things for me , that now it's their turn to be pampered. Their in their 80's and Grandbox is a wonderful gift idea to give to them. Grandbox is filled with wonderful goodies for them to share. you even can personalize a note that will be in the box and you get to pick out 5 pictures you can use ,that will also be in the box they receive. I know they will be thrilled with their Grandbox and I can send them a box each month . How great is that ! Just a small token of love and appreciation that any senior or grandparent will love !